So like I said previously, I was told I was going home and I just started crying. I was given 24-hour notice. Not a lot of time to adjust or prepare to go home. My companion, Sister Clegg, and I did our best to still work hard that day and get me all packed up. When Sister Clegg and I said our final goodbyes we cried on each others shoulders, and she told me to get back better and back to her as soon as I could. 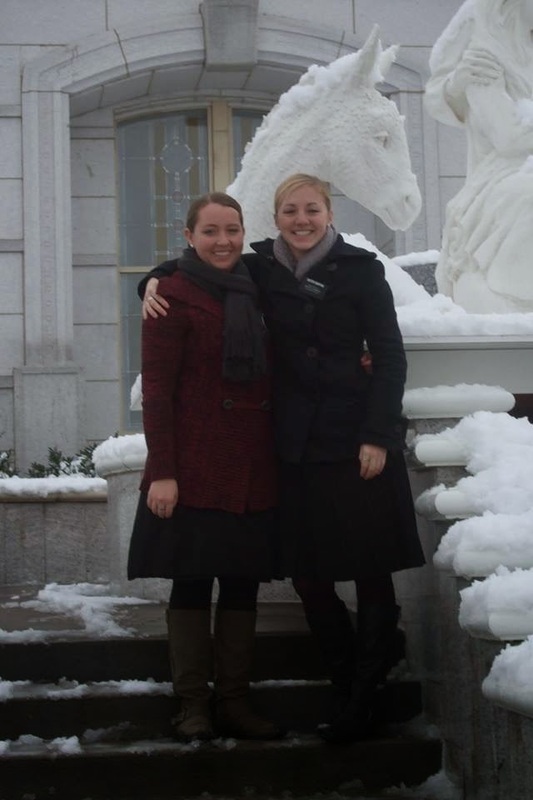 Now if you aren't familiar with how a mormon mission works missionaries are always in twos. And you and your companion are always together. Because of this you really grow close. And not only do you grow close as friends but you grow close on a deeper level because you are serving and going through trials together. Sister Clegg and I had become best friends. Okay back to the story... I flew home and as I was walking through security I saw my parents and I started crying. I think it may be the only time in my life I've cried tears of sadness when I saw my parents. Not because I didn't love them but because I wanted to be back on my mission. Coming home wasn't as hard as I thought it would be but that isn't because I wasn't in a hard situation, it was because the Lord still had a work for me to do. I still had a purpose outside of the many many doctor appointments. 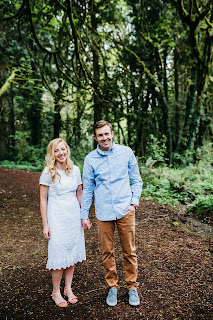 As I mentioned in the previous post I was called to teach a class for all those preparing to serve a mission as well as work with the young woman in our church. I poured everything I had into those callings but still lived day to day as if I could return at anytime. My first group of mission prep students. 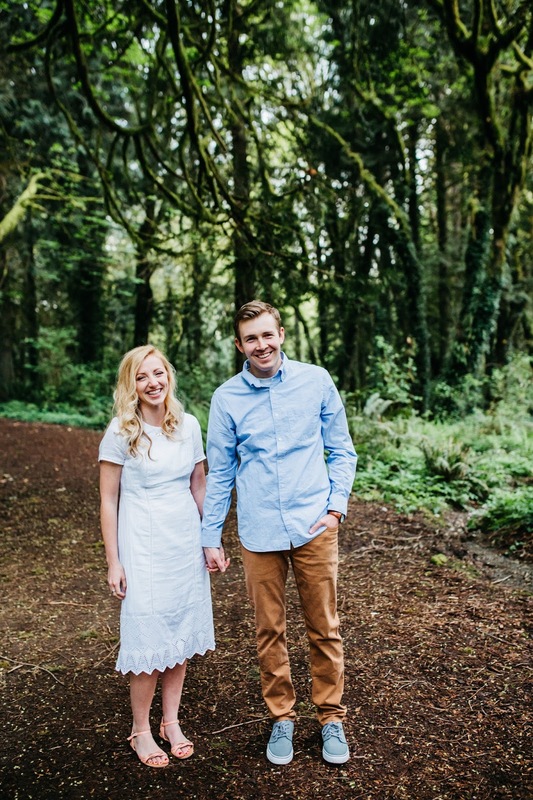 Now if you are a member of the LDS faith or not something to be known is that it isn't easy for a missionary to come home before his or her previously set return date. Look at it this way. As missionaries we prepare ourselves in every way possible. Physically, mentally and spiritually to go and serve for 18 months or two years. We quit our jobs, put school on hold, tell our loved ones goodbye, all so we can go out and share something that we love so much with others, and then you're told you won't be finishing it. Now it isn't like they were sending me home for bad behavior but I still had moments where I felt rejected and unwanted. But that was not the case at all. Looking back now I know the Lord had a new plan for me. I know he meant for me to come home and have the experiences I had here. So I was home and for four months I lived in limbo. Doctor appointment after doctor appointment. Outside of my classes that I taught I had no real purpose. I couldn't get a job due to the severity of my headaches, all of my friends were back in Utah (where I was living previous to my mission), and on top of that there weren't many people in my area my age that I knew. I've had many people ask how did you come out of this situation on top and so positive. First let me tell you I wasn't always positive. I definitely had my low moments, or as my mom calls them, fetal position moments, where I didn't get why I was going through this and let me tell you I wasn't proud of those moments. I had moments where I felt like a complete and total failure. I couldn't even finish 18 months, how was I supposed to ever do anything else hard in my life! But I'll get to the point...how did I come out on top. I came out on top because on my mission I gained a deep love for my Savior and the Atonement, and learned that He has a plan for me, and that His plan was always better then mine. As I remembered that or was reminded of that during the low moments I was able to rise back up and push forward. I worked hard to remember that so I would have less low moments. I knew how I reacted to coming home from my mission was going to define the rest of my life and I wasn't about to let it ruin it. I promised myself that I wouldn't go back to who I was before my mission, that I wouldn't forget about all I learned in those few short months, and that I'd always remember Christ. I made sure I did the important things daily. I read my Book of Mormon every single day. When feelings of anger or thoughts of self-loathing came into my mind I reminded myself of what opportunities I was having because I was home that I never would have had elsewhere. Now I didn't do all of this alone. I had/have a great support team. I have a fantastic family that was very supportive and most importantly I had a mother who stood by me every step of the way. Who helped me through the low moments and was happy with me during the high moments. She never gave up on me. And then I had Jesus Christ. I felt His love on a daily basis. I felt it through my students, through my family and through the many blessings He brought into my life over the past sixteen months that I have been home. And many have also asked me about my headaches. No they are not gone. I always have a headache and have migraines on a regular basis. But you know the Lord has given me some serious strength so I can get on with my life until we find a solution to them. So that is me, that is my story. If you are a missionary who came home early or anyone who overcame the odds during something really hard I'd love to hear your experience. If you have any questions or comments I'd love to hear from you. I feel so blessed and honored by the response I received from my first post. Thank you for joining with me on this journey. I am going through the same experiences, you have a wonderful way to explain and that is a talent, thank you for that. I would love to ask you some questions if it's okay with you? Thank you, that means a lot to me! Yes, you can ask me questions! I am a bit older than you and never had to leave my mission but I HAVE had experiences where my dreams appeared to have been crushed only to find out later it was the only way God could put me where HE needed me and all my earthly dreams pale in comparison to the dream of one day being wrapped in His arms and hearing "Well done". Any other sacrifice will be worth it at that moment (and a few others more recent when I have understood why I was guided). May yoy continue to enjoy to that end!